Kettler Grippads present a good alternative for training gloves. In contrast to fitness gloves they are not closed - thus the Kettler Grippads facilitate the removal of humidity. The grip padding protects the palms while doing strength training. 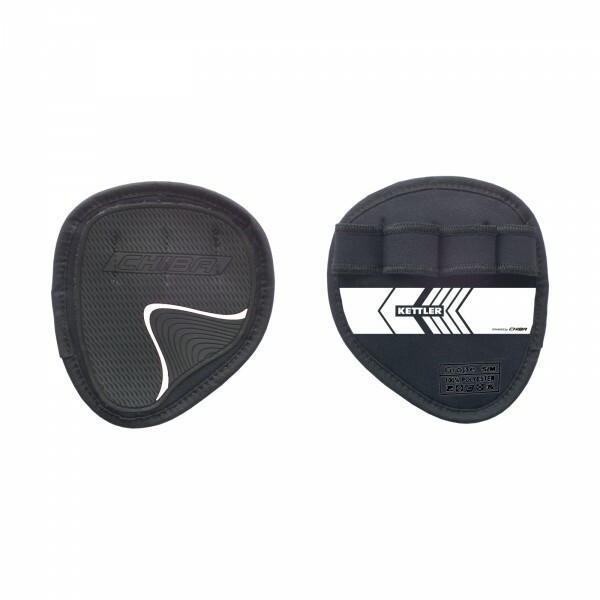 The extensively used, nonslip material of the Grippads provides a safe stability while doing strength exercises. Thanks to the special fit, the Kettler Grippads can be quickly taken on and off. Kettler Grippads can be washed at a temperature of up to 30 degree.